The 2H team have approached Term 3 learning with a bang! 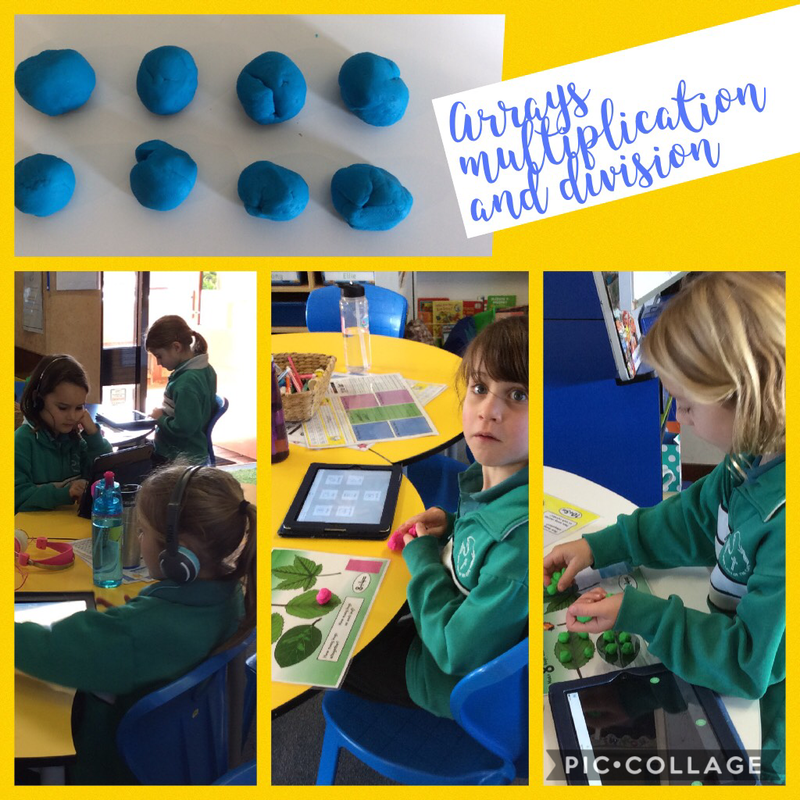 Mathematics: introducing multiplication and division symbols, reading and writing sums and solving worded problems. 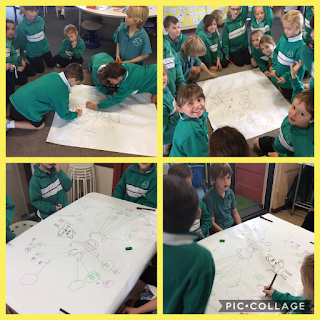 We have loved applying our knowledge to hands-on tasks and solving tricky open-ended problems in partners that had multiple answers. We can now use a think board to show the ways a number problem can be represented and solved. Reading: Our reading group rotations each morning has continued this term. This provides us time for us to read, read and read in small groups and on our own. We know that reading exercises and strengthens our reading brain 'muscle'. Reading more = better readers! We have continued to learn about METACOGNITION which means thinking about our thinking as we read. We need to listen to the two voices in our head when we read - one says the words and the other does the thinking such as predicting, noticing things, wondering questions and making connections to our own memories. Metacognition and engaging with our texts/books means we are really reading! This week we have begun to work on our engagement with the interesting vocabulary in our texts. 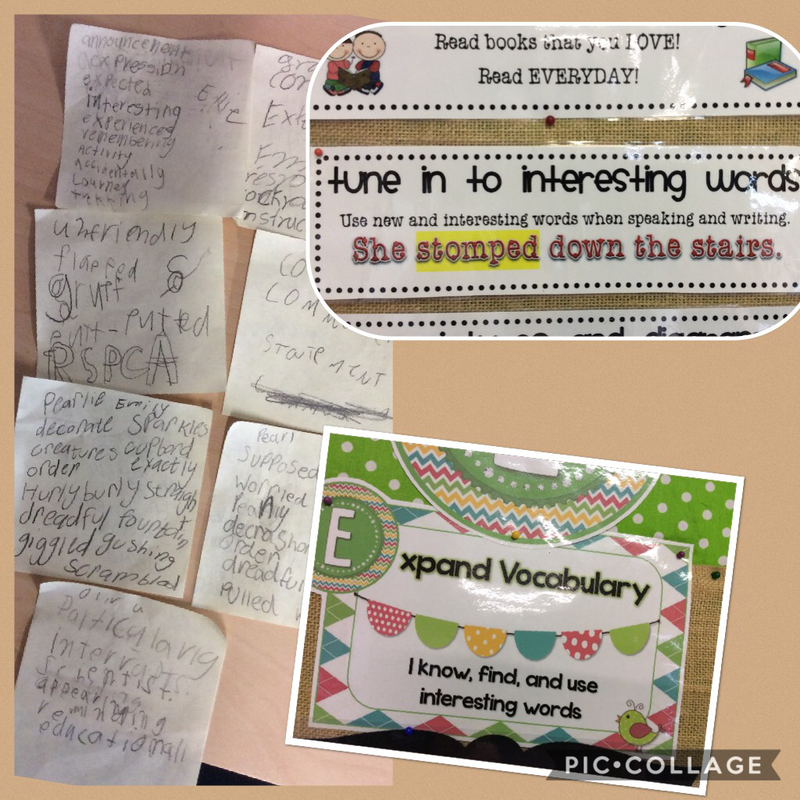 We are working to become even better readers by tuning into "wow words" that we may/may not know. 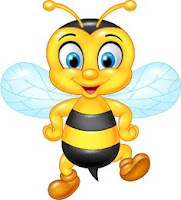 Writing: We have also learnt that good readers notice interesting vocabulary to 'magpie' them (steal) into their brains to use them later in their own writing. We are working on using vibrant vocabulary in our writing and celebrate as a team those who do by adding these words to our new Magpie Word Wall. We have been learning about persuasive texts and have been writing to different audiences to help convince our readers our opinion using reasons and detailed explanations. Ask us about our Team Cat/Team Dog writing task. 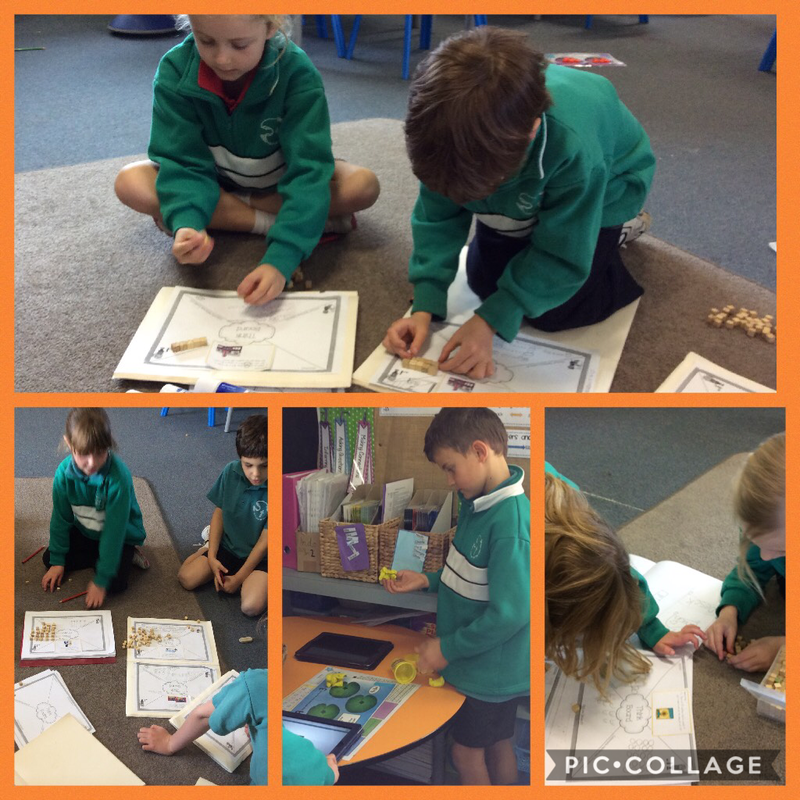 Seesaw: We now have Seesaw up and running in 2H. 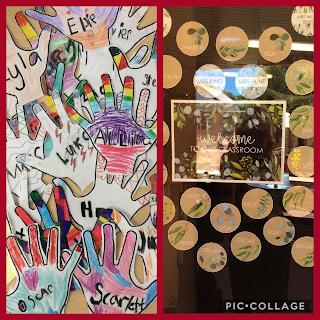 This is an web-based learning journal where our 2H team can share their learning and classroom activities with their parents. It is not an app where students need to do anything at home - it is just a great opportunity for our students to record their learning and for Mums and Dads to be able to see some day-to-day learning that happens in our classroom. You are also welcome to leave comments for your children to read and 'like' their journal entries. Please see Mrs King if you are having trouble with access to the app or difficulty joining to your child's journal using the note with the individual QRcode. Parent helpers: Please let us know if you are able to help once a week for a mathematics lesson. We are hoping to increase the opportunties that students can verbalise their thinking and processing of new mathematical concepts and more hands-on activities. Our mathematics learning time is currently after recess, however may be able change it to a more parent-friendly time if there are enough parents available for weekly help. Please see Mrs King or Mrs Hunt. Helpers are also welcome for the literacy block during reading or writing sessions! Year 2 will be running the second-hand stall and money chain this year. Donations of clean soft toys and books from any families would be appreciated. If anyone would like to assist with the Year 2 stall, helpers are welcome. A reminder that next Friday 18th August is a pupil free day. School photos are on 24th and 25th August. If you would like some family photos you will need to go to the office and get an order form/code. The school production is on the 7th and 8th of September. You can purchase your tickets at the office. It is amazing what Mrs Horrocks and the year 5 and 6 teachers achieve and can perform.